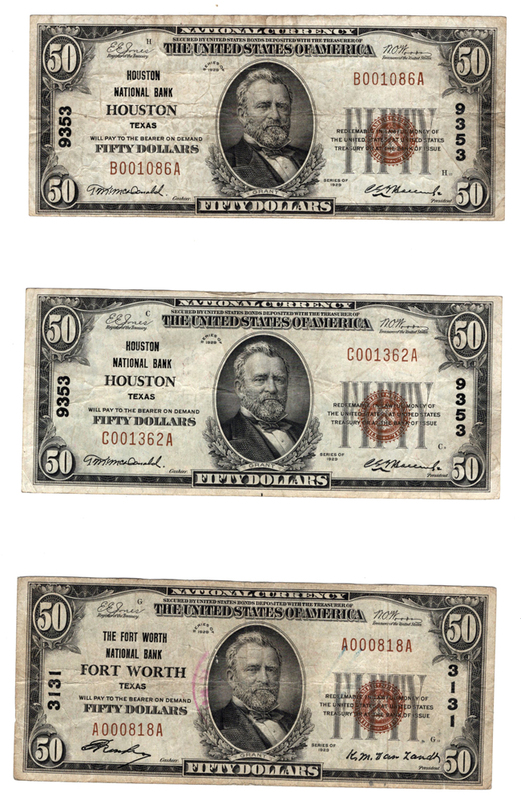 Scotsman Auction Co. - Three 1929 $50 Type 1 Texas National Bank Notes, F to VF, as described. 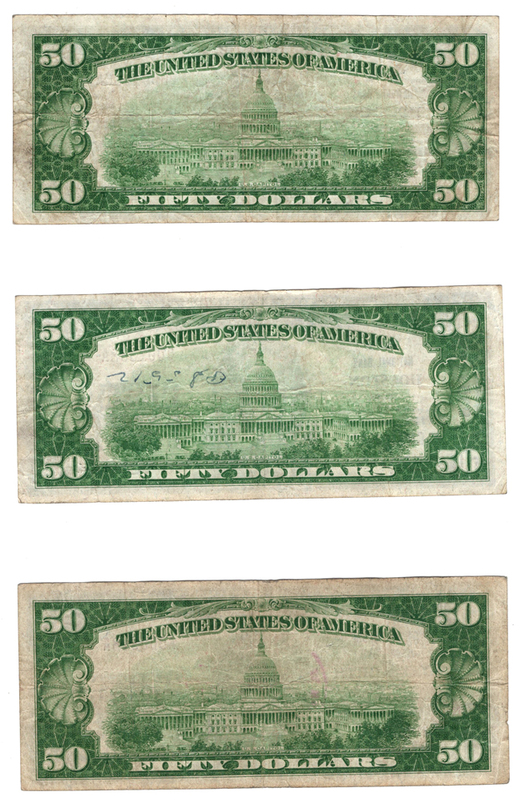 Lot Title: Three 1929 $50 Type 1 Texas National Bank Notes, F to VF, as described. Description: Two Houston NB Houston, Texas Charter Number 9353. One The Fort Worth NB Fort Worth, Texas Charter Number 3131. Lot Status: This lot is not yet open for bidding. This lot may contain an item not certified by ANACS, PCGS, or NGC. While Scotsman Auction Co. is typically conservative in our descriptions of items not certified by one of these companies, we cannot guarantee our grading estimation will match their grade. We highly recommend that collectors seeking items certified by a third-party grading service only bid on items that have already been certified. No lot can be returned because of a variance in judgment with regards to grade.